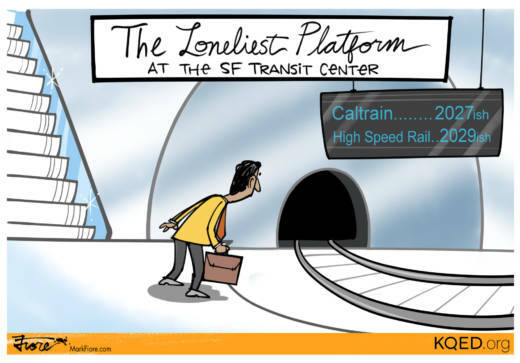 If you're waiting to hop a train at San Francisco's new $2 billion transit center, you may be in for a long wait. At the new Salesforce Transit Center, buses will reign supreme, at least until Caltrain connects to the busy transit hub sometime around 2027. If funding and political forces align, California's high-speed rail may roll into the station a couple years after that. In the meantime, pause to consider what Bay Area rail service looked like in 1937.